It's taken me hours to gather my thoughts enough to be able to put them into words and I'm still shaken now, so forgive me if this is all a little “raw”. I can't get my head around the events of today. 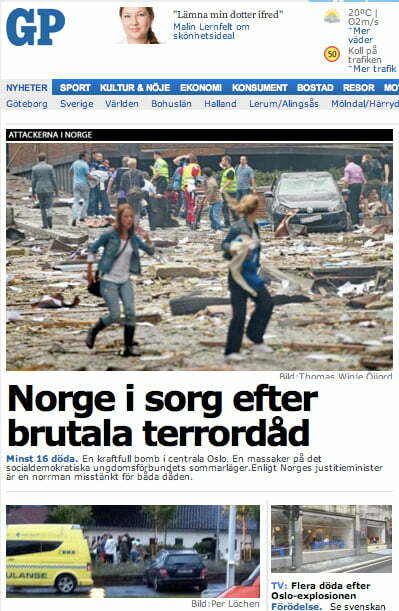 I was in the supermarket at the bottom of my apartment block when I heard (and felt) the blast. It was one of those bizarre moments when you, and everyone around you, stops for a split second. No talking, no movement, what was that? And then everything is back to normal again. 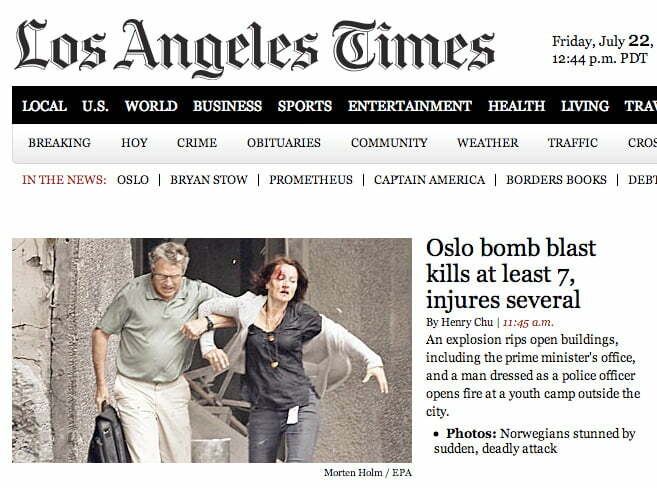 People in Norway aren't used to bombs. I was immediately concerned but put it down to a very loud clap of thunder, as it had been a very wet and miserable day. Back in my apartment about ten minutes later I heard rather too many sirens for my liking, saw some commotion from my balcony, and some smoke. 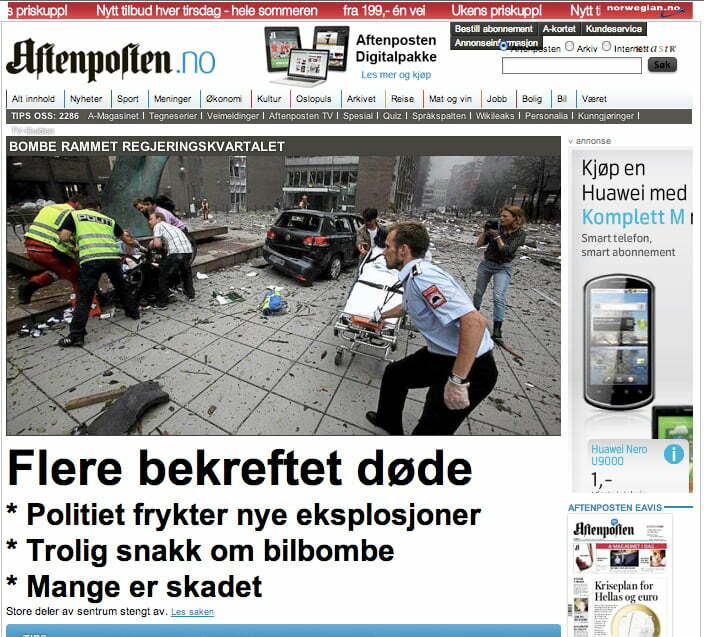 Within minutes the Norwegian media NRK and Aftenposten were reporting an explosion. I spent the following hours glued to the excellent BBC News coverage online, along with various other news sources, responding to a barrage of text messages and letting people know via Facebook that I was safe. But why am I so shaken? Three reasons. 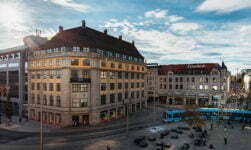 I live on Møllergata in central Oslo, just a few minutes walk away from the blast site. Almost every day I walk past it. On another day, perhaps a sunnier day, I could well have been a lot closer. Best not to dwell on that too much. 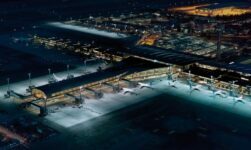 I work as a project consultant, for which the end customer is the Norwegian government. It's the biggest technology spend ever by the Government and as such is very high profile. From time to time I visit the Government offices, although not the ones affected today. Details about the victims remain unclear, but I daresay most were government workers, possibly known to my colleagues. I know I won't be the only one slightly nervy about turning up at work on Monday. 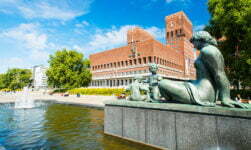 I don't know how long I will be in Oslo, but it feels like home. I can't overemphasise how happy I have been here, with the welcome I've received, the friends I've made, HOW SAFE I HAVE FELT. These last few months, this beautiful, peaceful, yet vibrant city has welcomed me with open arms. 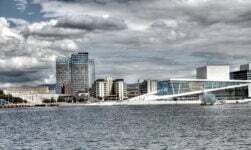 It's a tolerant city, there is no violence on the streets, few threats, very low crime, and Norway keeps itself to itself when it comes to foreign affairs (although yes, they do have some minor involvement in Afghanistan and Libya). For these shocking events to happen here of all places just beggars belief. 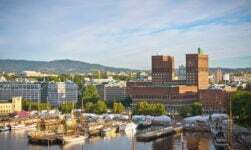 If it does turn out to be domestic terrorism, these idiots need to wake up and realise how good the quality of life is here in Norway. I feel terrible that this has happened literally on my doorstep yet I can do nothing to help. 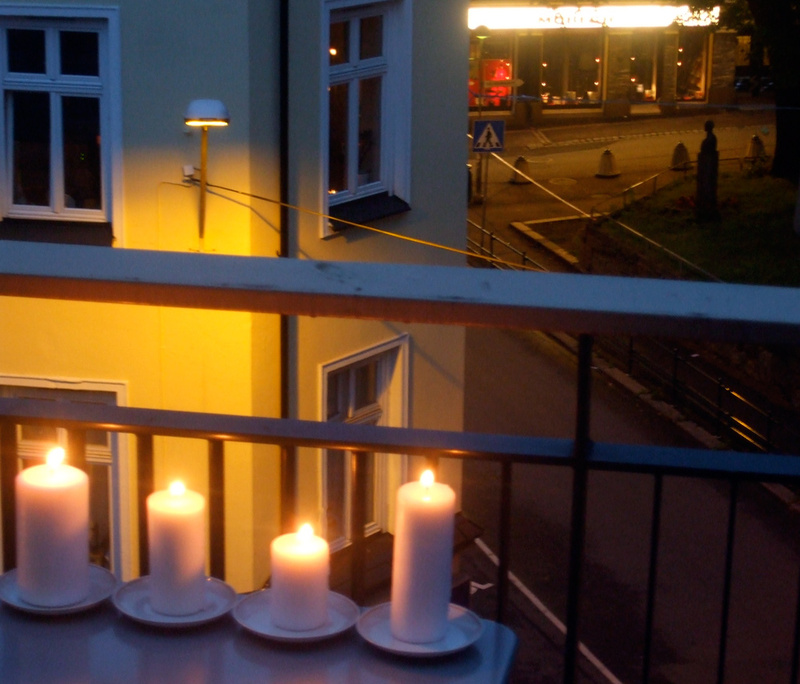 My sole contribution today has been to light some candles on my balcony, inspired by a Facebook group called Tenne et lys for de omkomnede og skadde etter tragedien i Oslo og Utøya, which translates as “Light a candle for the dead and injured after the tragedy in Oslo and Utøya”. 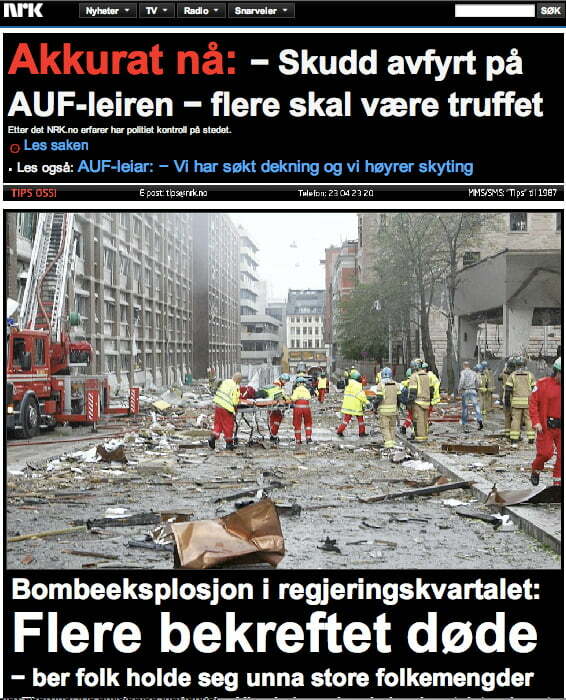 The local paper Aftenposten reported on this viral tribute. Despite living approximately 300m from the blast site I still had to rely on the world's media organisations to understand what the hell was going on. 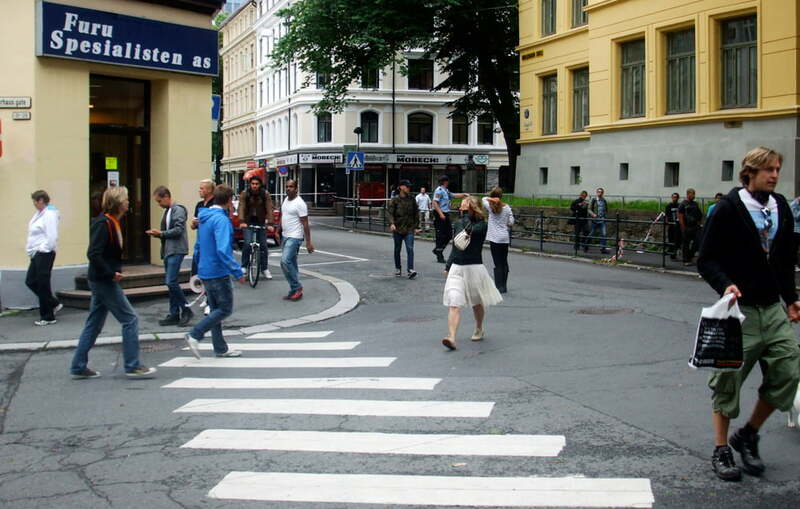 It was horrific seeing streets I walk down every day in a state of chaos on the world's media. It honestly felt like I was watching a movie. Now the dust has settled somewhat, I am still struggling to comprehend the day's events. I'm not ashamed to admit I've had tears in my eyes for most of the evening. I've been very impressed with the reaction of the Norwegian Prime Minister, especially since it seems clear he was a prime target. Let's hope his leadership is as solid over the coming weeks and months. My deepest condolences to anyone affected by today's tragedies. And to everyone else, be safe. 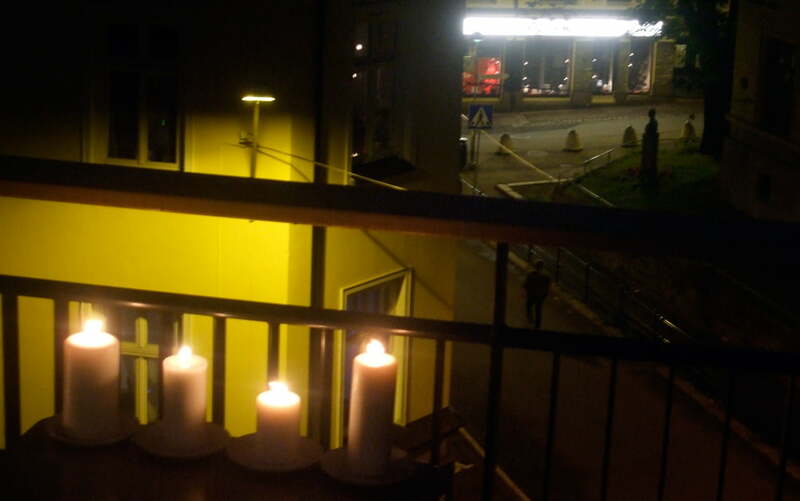 UPDATE: I have written again about the atmosphere in Oslo the day after the bombing and shootings. Click here to read it. I have been tremendously affected by this awful tragedy and my heart goes out to all the victims’ famillies. 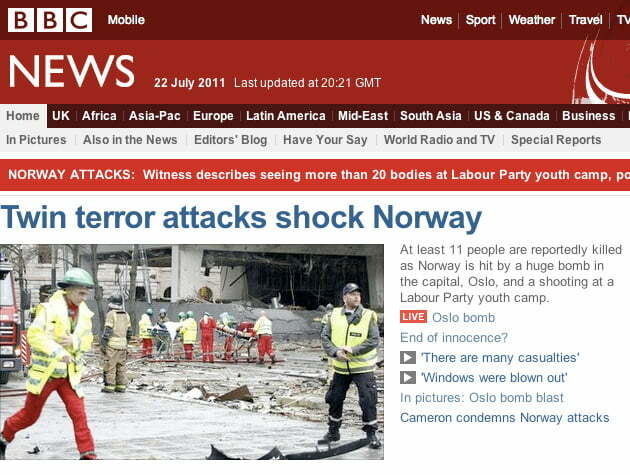 All through my life I have have known Norway as a wonderful ally to the UK. When I was young, I was taken to Trafalgar Square in London to see the Christmas Tree donated by the Norwegians to thank our brave ancestors for their contributions to the Norwegians liberation from the terrible Nazi regime. The tree is a simple but very beautiful and pertinent symbol of mutual respect for each other’s nations. 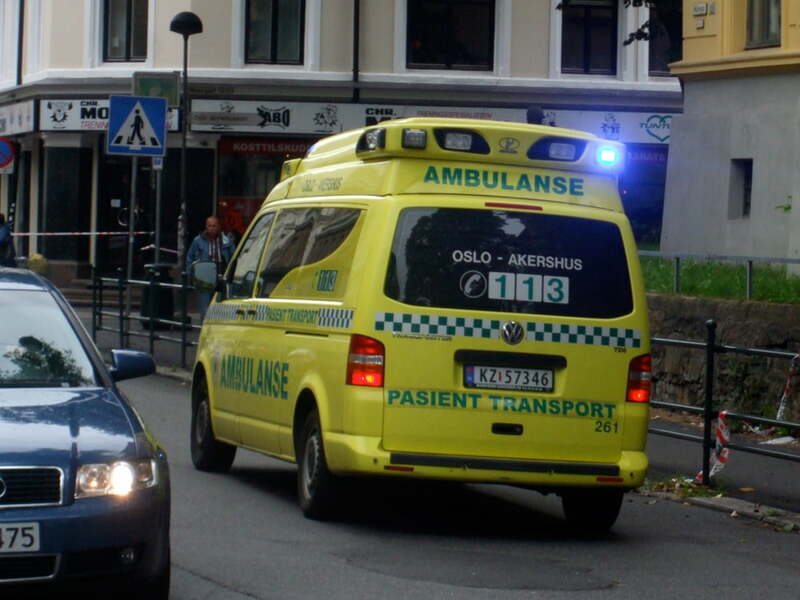 When I was even younger, I had to have an operation and being away from my family for the first time, the person who helped me most to relieve my angst was my beloved ‘Norway Nurse’. I don’t remember her name, unfortunately, but she was the kindest, sweetest person ever and her memory stays with me to this day. 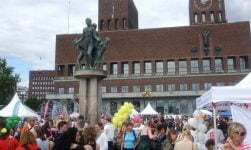 I have been fortunate enough to meet many Norwegians in my life and all have been wonderful, bright, attractive people. I will be lighting a candle in our local Church tomorrow as a token of my respect, even though I am not the most attentive Christian in the world, but it is at times like this, one needs to have some sort of faith! I have always wanted to visit Norway and this foul action from one maniac has not lessened my resolve… but increased it… so I can come and celebrate, enjoy and revel in all the good things that Norway offers to the world. Stand proud Norway. Words can’t express my shock and horror at the evil that has destroyed so many lives. I am deeply saddened and my heart goes out to all concerned and the families , we are all thinking of you and your beautiful country and countrypeople.